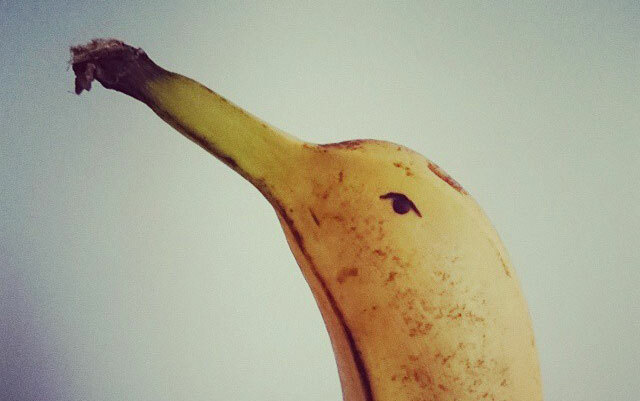 This banana looks a lot like a bird, doesn't it? When originally posted there was some debate whether it was a hummingbird, a seagull, or a crow. I stand by my earlier statement that it is a banana. Boller - or sweet wheat buns - is a favored snack and comfort food for Norwegians, especially enjoyed for childrens' birthdays or on a cold and rainy/snowy day coupled with hot cocoa. 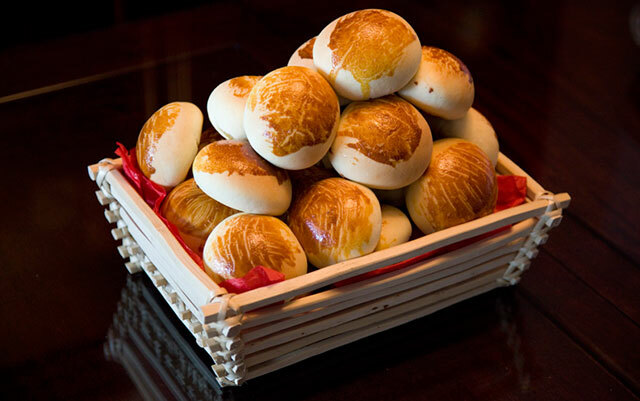 One of the key ingredients of boller is cardamom - something that gives them a distinct aroma and gives them the more lengthy name "cardamom boller". They say dinosaurs had feathers. 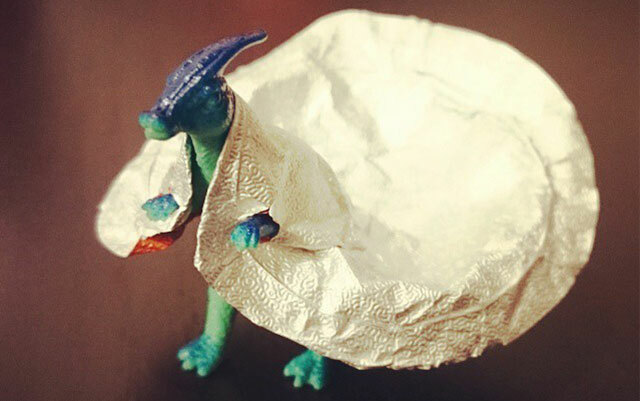 I prefer to think they were a bit more stylish than that, as proven by this dinosaur wearing a swanky aluminium coat. 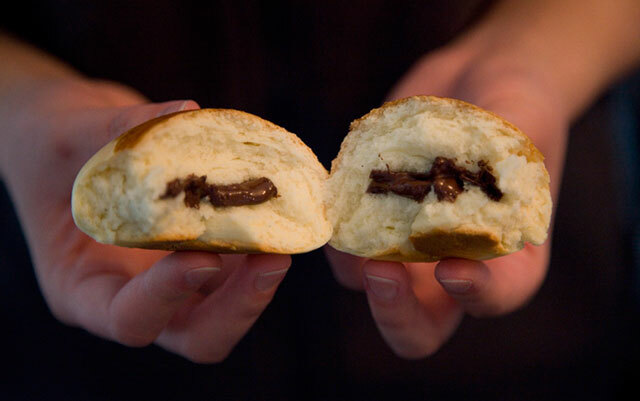 Oh yes: Sometimes when you bake boller, you put a piece of chocolate (usually dark) in the center before baking. That way when an unsuspecting recipient bites into the baked deliciousness they get a sweet surprise. You know what's better than a chocolate covered caramel filled frog from Denmark? 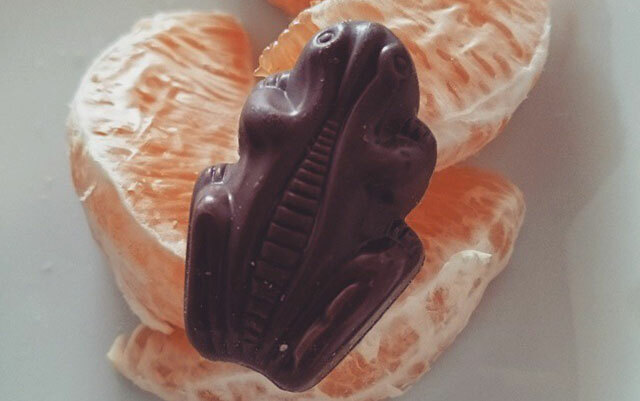 A chocolate covered caramel filled frog from Denmark served with juicy slices of orange. Did I mention I like oranges? 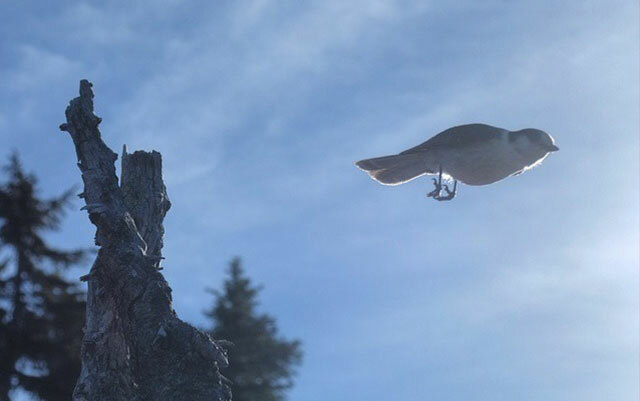 The Whiskey Jack is a surprisingly large bird that likes to eat food held up by tourists. In spite of what the image suggests, it does in fact have wings. 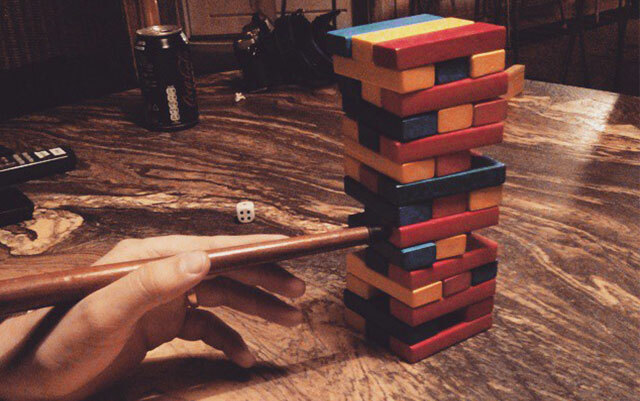 On a recent trip to Europe my brothers and I invented a new game called "Pool Cue Jenga". It is the best game ever invented. The rules are simple: You must use a pool cue to remove tiles. Only one cue can be used, and you can not use your fingers. The footer usually appears on the bottom of the page. That's why it's called the "footer".